​I chose Ms. Brooks after interviewing four artists to design a book cover for my new novel. Even before I hired her, she was asking the right questions about the theme of the book and the meaning of the title chosen. She gave me options and meticulously discussed every detail. Robin Brooks at The Beauty of Books created the cover alone for Barcelona-Borinquen: A novel by John David Ferrer. ​It presented some interesting challenges. Antonio Roche, a high-class Catalonian anarchist, seeks redemption in the New World after being released from a Barcelona prison. He leaves behind a love interest, Paula Soler, a precocious socialite who seduces a priest and faces the scorn of her family and Spanish society. They meet again years later in San Juan, Puerto Rico when she inherits a sugar plantation managed by Antonio. Both grapple with their new relationship, while economic turmoil, the American military takeover of the island, and three terrifying hurricanes impact the family and their fortunes. Their lives intersect with other immigrants from Spain seeking a better life. All the characters in this multifamily multigenerational saga, experience betrayals in love, broken friendships, and untimely deaths. BARCELONA-BORINQUEN will appeal to bicultural audiences who treasure stories of yesteryear brought to the present. It is a story of an era rarely written about that dramatically portrays the endurance of the human spirit. 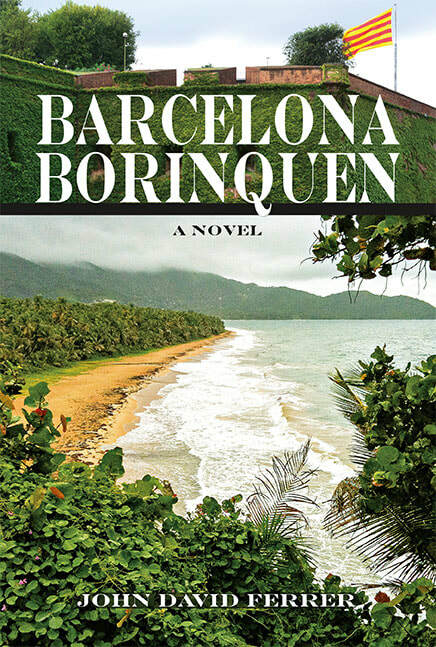 Barcelona-Borinquen ​is available on Amazon.